Last week on our blog, we wrote about how to protect your network’s connected devices, and the importance of good cybersecurity with the upcoming launch of 5G. This week we decided to take a step back and go into a bit more detail about 5G itself. So, what is 5G? 5G is the fifth generation (hence, 5-G) of wireless communications. Right now most cell phones communicate over a 4G network, such as LTE. 5G rollout has already started in certain areas, with nationwide coverage expected sometime next year. Like other generational improvements, faster speeds are one of the main features of 5G networks, with anywhere from 500mbps-1.5gbps speeds available. But this generation is unique, in that it has a number of other benefits. When it launches, unless your device is equipped with 5G technology, it won’t be able to take advantage of these benefits. But most new devices launched after the 5G rollout will come 5G-capable. So why does this matter? These improvements in communication speed and reliability are able to power a number of cutting edge technologies that will be used more and more frequently in the near future, such as virtual reality, driverless cars, remote surgery, and more. In terms of security specifically, 5G connectivity will allow more devices to communicate even faster over your home network – for example security cameras, motion detectors, smart home devices, and many more. By involving machine learning and AI, your smart home will be able to learn more about your behaviors in order to provide increased convenience and protection. If you live in Central or Northern New Jersey and would like information on how 5G can help protect your home or business, please call 800-369-3962 or simply CLICK HERE. For those who own alarm systems, whether they are video surveillance, access control, burglary, or fire protection, our systems watch over us and protect us around the clock. But in today’s day and age, just about everything is connected to the internet. In many cases, this includes our alarm system. And like any device that is connected to the internet, if not taken care of properly, it can be at risk of attack from hackers. With the upcoming launch of 5G, it is extremely important this year to protect anything connected to your home network. “Attackers used an army of hijacked security cameras and video recorders to launch several massive internet attacks” said a news piece by the Wall Street Journal. Many times, these cameras were infected by pre-compromised routers that already existed. 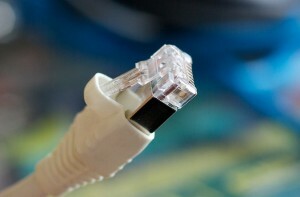 Router security: We recommend using WPA2 security for your router. Most routers, unless they are fairly old, are capable of this type of security. For more information on this, check out your router’s brand’s website – Belkin, Linksys, and Netgear are common brands. Firmware updates: It is very important that any device that connects to the internet, from thermostats to alarm systems to routers to televisions to computers, always has the most up to date firmware. Each device’s manual or website will have instructions on how to do those, and if there is a phone application that interfaces with the device, you can often do it through the application. Password protection: Many devices come with generic user names and passwords. These are easy targets for hackers. Make sure you change any default passwords, and try not to use the same password on multiple devices. It is most important that this is done on the router. In the wake of home automation, smart home, or connected home technology you may have come across the term Z-Wave technology. What is it? Z-Wave technology is, “a wireless technology that makes regular household products, like lights, door locks and thermostats ‘smart’.” It’s what allows your home devices to “talk” to each other and be controlled remotely via your mobile device. Why is this important? Well, if you have home automation or been considering it, it’s all about ease of integration, flexibility, and interoperability. Home automation and its perspective devices are an integral part of a comprehensive home security system. At Perfect Connections, Inc. our licensed integrators have been providing comprehensive home security solutions for the past 23 years. We believe in making your life easier and more convenient by providing technologies that not only operate effectively but help provide superior protection. Having strong communication between devices is crucial to the efficacy of your system. It seems Z-Wave technology has the majority grip on the market as it stand today – over 1,700 in 2017,and over 2,400 by the end of 2018.This is beneficial to integrators and end-users alike. The quantity of smart products that operate on Z-Wave technology opens the door to highly flexible smart home applications. This means you can outfit your entire house with automation devices that can be controlled from your central control panel or a single application on your mobile device versus having to control devices piecemeal because they don’t operate on the same technology. 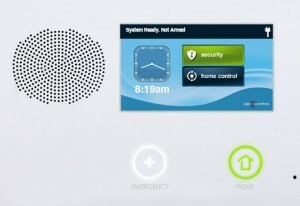 According to Mark Walters, chairman of the Z-Wave Alliance, “…greater than 80 percent of the North American security company-based lifestyle solutions are powered by Z-Wave.” The wide breadth of automation product availability within the Z-Wave family provides immense system scalability for homeowners and integrators. Meaning your initial product installations are not finite. Security and automation devices can be added on an as needed basis. For example, you may start with automated door locks, lighting, and garage door control but you may find that with time your needs expand to temperature management, skylight controls, and/or guarding against potential water damage; it’s always nice to only have to go through the installation process once, but it’s comforting to know you have options after the fact. While most homeowners rely on the experts to properly install devices in their home, the range of Z-Wave technology products does open the door to a more DIY approach. However, it is important to note that it is always wise to consult a licensed security system integrator to ensure proper product installation and operation. This technology also provides an open platform for integrators and consumers who prefer products from a specific manufacturer, making it easier to get exactly what you want. What about existing household technologies, will they be affected by Z-Wave home automation devices? Today our lives are inundated with technology, your home probably has a slew of devices that operate on Wi-Fi or Bluetooth. The potential issue with a house full of devices operating simultaneously is the communication disruption they can incur on one another. Luckily with Z-Wave technology you don’t have to worry about interference with or from other household devices. Its operational capabilities were designed specifically for home control. It’s a low energy consumption, bandwidth efficient technology that won’t inhibit other home devices. Z-Wave technology also has a vast international presence throughout Europe further expanding their territory for consistency, device compatibility, and home automation integration. On top of that, Wi-Fi consumes a lot of power, and Bluetooth is limited in signal range and number of devices. Home automation is a facet of comprehensive security systems that improves a homeowners posture in security. It is meant to improve lives through convenience and seamless integration. 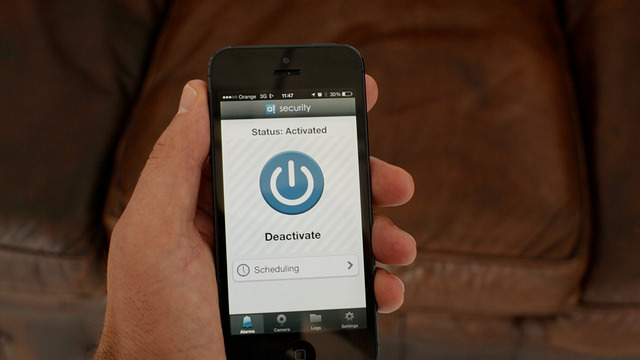 With home automation you can turn lights on and off remotely with the tap of your finger on your mobile device. You can arm or disarm your alarm system while on vacation. You can monitor an aging loved one who wants to maintain a level of independence by tracking their activity on your smartphone. Or you can use it to receive instant notifications of real time events like your kids arrival home from school. Like any system, home automation is only as good as the sum of its parts and the technology it operates on. Z-Wave technology is the means by which many automation devices communicate with each other and the system as a whole. The strong hold it has on the market today seems to prove it’s effectiveness and dependability. It creates flexibility in product selection and system integration without interfering with existing household devices. Chances are if you already have home automation as part of your security system your devices operate on Z-Wave technology. This technology and the devices it encompasses show no signs of slowing down in our age of technological progression. Our licensed integrators at Perfect Connections, Inc. have been providing custom and comprehensive security system solutions to homes throughout northern and central New Jersey since 1992. We believe in providing technologies that enhance your home’s security and home automation devices do just that. Home automation is part of a comprehensive security system which should include fire and burglar alarms, video surveillance, access control, and a monitoring service. We help your home security stay relevant and provide technology that improves your quality of life. With advancing technology becoming more and more present in our daily lives, it’s no wonder it’s becoming part of our homes too. From solar panels on our roofs to remotely controlled thermostats, we are creating homes akin to the Jetson’s space age abode. Unlike the Jestson’s most of us still live in homes on the ground without robot housekeepers and flying cars. Whether or not technology is pushing us towards zero-gravity transportation, one thing is for sure, our homes are advancing with us. Look how far we’ve come in such a short period of time. Starting with the inception of the internet around 1962, we’ve gone from the most simplistic data sharing capabilities to now virtually living online. We can take the internet with us on our phones, tablets, laptops, and other wireless devices; it’s an integral part of our communication systems. It only makes sense that our physical living spaces are becoming more connected to our mobile lives. So what does it mean to have a connected home or home automation? It’s being able to wirelessly control devices in and around your home from virtually anywhere in the world via a mobile device (i.e. a smartphone, tablet, etc.). You know that feeling of, “I think I forgot something”? That gut wrenching sensation can be a thing of the past when you include home automation as part of your security system. With home automation or interactive services you no longer have to worry whether or not you forgot to lock your doors or arm the alarm system because you can do it from your phone. You can even check in on your kids, pets, and loved ones by logging into your home security cameras through an app. The capabilities are seemingly endless and the technology behind home automation is only moving forward. 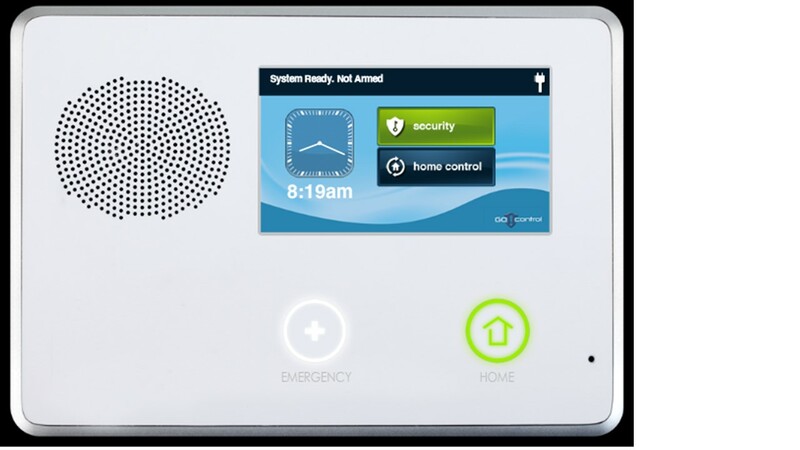 Here at Perfect Connections, Inc. we believe in providing superior home security systems that can include sophisticated, yet easy to use, home automation features. Our team of experts has been providing home security system solutions to central and northern New Jersey for the past 23 years. We understand the value in having a connected home, do you? Picture this, you’re coming back from a long vacation, somewhere tropical of course. You’re in the car on the way home from the airport, the cool crisp air of winter in New Jersey lingering on your cheeks. Then it hits you. Your home is in New Jersey, its winter, and you turned the heat way down before you left. Looks like you’re going to be wearing your coat and galoshes around the house until it heats up. The frustration is setting in when you realize, “I can turn up the heat from my phone!”(cue the idea light-bulb). You log into your mobile app and swiftly adjust your thermostat to a comfortable temperature. By the time you get home it’s warm and cozy, no need to stay bundled up. 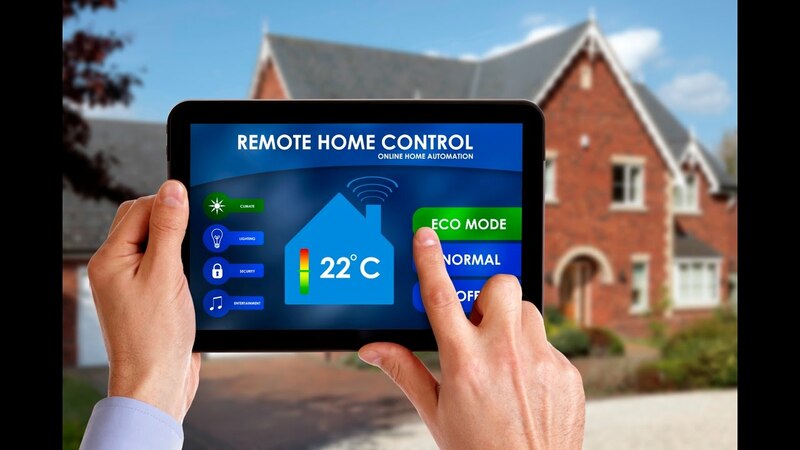 Being able to adjust your home climate from afar is just one of the many conveniences home automation provides. You can lock and unlock doors, open/close garages, turn lights on and off, log into your security cameras to see what is going on at your house, and arm or disarm your alarm system. With a firm understanding of how your home automation works, you can program notifications and optimize different features of your home and security system. Aside from being a convenient addition to your everyday life, home automation can actually save you money. Think about your utilities, one of the major money-drainers is electrical use. With programmable lights and the ability to turn them on and off remotely, wasting electricity becomes a thing of the past. The largest portion of your utilities likely comes from heating and cooling your home. Being able to program your thermostats can be a huge saver in energy costs throughout the course of a year. Never mind the fact that you’d be enhancing your homes overall efficiency. When it comes to wasting energy, the U.S. is unfortunately no stranger to inefficiency. According to Forbes.com America ranks number one among developed nations, even ahead of China, for energy waste. Energy inefficiencies impact not only our environment, but our economic status as well. In fact low energy productivity in the United States is estimated to cost businesses and households an estimated $130 billion annually. While home automation may seem like a small piece of the energy-efficiency pie, imagine if every home could cut their waste even by a small percentage; the impact would be substantial. Yes, home automation can save you money. Yes, it can increase your home’s efficiency. Yes, it gives you the capability to monitor your alarm system from afar. Yes, it saves you time and aggravation. The best side effect is one that can’t be measured by the money in your bank account or the bottom line on your utilities bill. It’s the peace of mind you gain. That feeling of knowing your kids are home safe from school because you were able to see them arrive. Knowing that your home and valuables are safe while you’re on vacation. Receiving customized notifications that are specific to your needs and schedule. You can’t achieve the same peace of mind from a security system alone, no matter how sophisticated. Whether you’re in the market for your first security system or want to add home automation to an existing setup, don’t hesitate to call on our experts at Perfect Connections, Inc.. Our specialists have been providing comprehensive security systems throughout northern and central New Jersey since 1992. We customize security solutions to fit specific needs unique to your home. Isn’t that the truth? 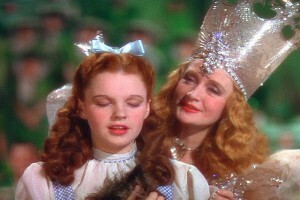 There truly is no place like home. It’s your place of comfort, family congregations, entertainment, and life. With any home there are weak spots that open you up to potential threats. Maybe you already know this because you’ve hired a professional to assess your security needs, and you now have a comprehensive security system installed. Whether or not you have sought professional service to protect your home, there are things you can check/do to make sure you’re properly deterring potential threats. Providing residential security systems solutions to Northern and Central New Jersey for over 25 years, our team at Perfect Connections, Inc. can offer insight on how to better protect your home. Check out the following tips for a safer home. Locking your doors and windows may seem obvious, but many homeowners don’t do it because they live in a “safe” neighborhood. Don’t be fooled, anyone is susceptible to crime, the difference is how you are prepared for it. While you can certainly perform routine checks of your property, to fully secure your home, hire a professional. An expert will pick up on things you may not notice and you’ll get unbeatable protection for your home and family. If you are located in Northern or Central New Jersey, do not hesitate to call on our professionals at Perfect Connections Inc. to find out more about residential security systems. We have been providing expert residential security services for over 25 years, and we are dedicated to understanding your specific needs. Our world is constantly changing and evolving. Progression is an inevitable force that influences the way we live our daily lives. This is especially true of advancements made in the techy devices we interact with on a daily basis. Everything from our smartphones to our security systems. It’s the manner in how we interact with all of these devices that is driving innovation and product design. The internet and networking of devices is creating a connected environment that offers ultimate convenience and changes how we perceive the potential of security systems. At Perfect Connections, Inc. our licensed integrators provide comprehensive security systems to businesses and homes throughout northern and central New Jersey. We believe in installing quality systems that are in line with the best technological advancements the market has to offer. This doesn’t mean we use the trendiest devices for the sake of being “trendy,” it means evaluating current products that will add value and provide a platform for future adaptation. With the Internet of Things (IoT) it’s imperative to implement devices that are not only relevant but can stand the test of time, within reason. The definition of the IoT can be summed up as, “the interconnection of uniquely identifiable embedded computing devices within the existing internet infrastructure without requiring human-to-human or human-to-computer interaction.” This means devices that are able to “talk” to one another via an internet connection without third part interference. An example would be a motion detector that automatically uploads a video clip to an authorized smartphone when it senses movement. The IoT is influencing changes in security system components like video cameras, access controls, recording equipment, fire and burglar alarms, locks, and monitoring services. The devices themselves are evolving but so is the manner in which end users and system operators interact with them. A higher level of remote connectivity to security systems and their components is a result of the IoT. End-users can now login to security systems and their devices via an app on their mobile device. This would allow the business owner who is away on vacation to periodically check-in on the day-to-day by logging into their surveillance system on their smartphone. The homeowner who forgot to lock their doors and arm their system can now do so remotely via a mobile device or computer. Automated notifications can be setup to send an alert when an alarm is triggered, someone tries to gain entry without proper access credentials, when a camera or motion detector capture movement within their range; the possibilities are extensive and continue to be developed. According to Steve Hausman, president of Hausman Technology Keynotes, we are still at the beginning of the “IoT revolution.” Some research suggest by the year 2020 there will be over 30 billion wirelessly connected devices in operation. With everything becoming more and more connected one has to wonder, what are the risks? In this highly connected world, there is a plethora of data being recorded, stored, and shared but who has access and rights to this data? Therein lies the problem. As with anything connected to the internet, the risk of being hacked or stolen is inherent. In the security world this would be a problem for IP cameras, cloud storage and recording solutions, networked access controls, and basically anything running on or connected to an internet network. With that in mind, industry professionals and developers are continuously working on solutions to prevent and minimize vulnerability. Hausman says, “Security standards need to be established and enforced at the design and manufacturing levels. As the IoT evolves, we can also expect that society will not only adapt to its usefulness but come to expect that appropriate safeguards be implemented to ensure both privacy and security.” Today, those “safeguards” are being provided by licensed security integrators who understand the risks associated with system automation and the IoT. Often times this means strong encryptions for not only the network, but the connected devices as well. The IoT isn’t something that’s going to disappear. Its presence in the security industry will continue to shape the way manufacturers develop products and how they are implemented by security integrators. As licensed professionals our integrators at Perfect Connections, Inc. provide comprehensive security system solutions to businesses and homes throughout northern and central New Jersey, and have been doing so for over 25 years. Our team has witnessed decades of advancements in the industry. We realize it is our duty to continue our own education as well as offer knowledge to our customers when implementing new technologies and component counterparts. Maybe you’ve had a home security system installed years ago or perhaps you recently moved into a new home with an existing alarm system. Whatever the case, how can you tell if your home security system is still valid? 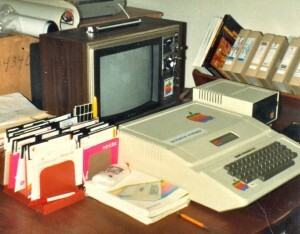 There are some tell-tale signs that you may be dealing with an antiquated system. However, if you have a security system and are concerned it’s not as relevant as it once was, it’s time to upgrade your system. The first thing you should do is contact your security system provider for an assessment. As a security systems expert, our professionals at Perfect Connections, Inc. understand the importance of maintaining a functional security system and keeping up with advancing technologies. Our team of professionals have been providing comprehensive and customized home security systems throughout northern and central New Jersey for the past 23 years. We can help assess the validity of your alarm system and offer solutions specific to your security needs. Maintaining an effective alarm system isn’t just about running annual tests, it’s making sure it progresses as you, your home, and technology press forward. It’s not like buying the newest IPhone just to keep up with trends, it’s making sure the technology you’ve invested in is providing the best protection. If you’ve had a security system for a while and can’t remember the last time the software was updated, or if updating isn’t even an option it might be time for an upgrade. Outdated software may leave you susceptible to hacking and viruses, plus you may not be getting the most out of your system. You don’t want to pay for a system that’s subpar right? Another sign it might be time for an assessment or system upgrade is the dependence on a singular keypad for control. In today’s fast-paced world we often have the need for convenience. Is it convenient to have to drive home from work because you forgot to arm your security system? Is it convenient to have to make it to the security keypad to punch in your pin while your arms are chalk-full of groceries? No, so why not look into interactive services or home automation? With home automation you no longer have to worry about forgetting to arm or disarm your system because you can do it from your mobile device from virtually anywhere. You could access your surveillance system through an app on your mobile device, allowing you to view what is going on real-time at home. Other advantages to an interactive system is the ability to adjust your thermostat and lighting from afar. As Alarm.com puts it, “Using a smartphone to manage an interactive home security system is like having a remote control for the system right in your pocket.” This added technology will save you time, money, and lots of headaches. How was your security system originally installed? Was it hardwired? While there is nothing necessarily wrong with a hardwired system it’s important to consider current technology benefits and how your system compares. Just as our phones have become wireless many industry professionals are installing wireless security systems with cellular capabilities. Why? For one there’s no need to tear open walls, which is costly and laborious. 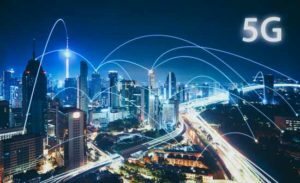 Technology has advanced to the point where wireless capabilities have become more effective and ubiquitous making them more viable, dependable, and available. When comparing wireless to hardwired systems a noticeable difference, aside from the wires, is the continuity of service. With a wireless system you don’t have to worry about burglars cutting wires to disable your system because there are none. Lastly, a common sign of an antiquated security system can be low-res (low-resolution) cameras. While cameras alone can sometimes deter an intruder from attempting a break-in, what good is a surveillance system that offers fuzzy picture quality if a break-in does occur? The purpose of a camera is being able to record quality footage to positively identify intruders and sometimes their vehicles if need be. Clear footage can be a helpful tool for law enforcement and in court. Effective cameras can also be used to monitor the arrival of packages, expected and unexpected visitors, interiors and exteriors, remote properties (i.e. barns, sheds etc. ), and distant areas of your property. Fortunately there is a vast array of high-resolution cameras available today. Your security system company will be able to provide the best solutions for your specific needs. Whether you’re unsure your current security system is functioning optimally or if you’re looking into home security for the first time, contact a specialist. They will be able to assess your current security situation and provide customized solutions. Our team of experts at Perfect Connections, Inc. has been providing custom home security systems throughout northern and central New Jersey since 1992. We can help you update an outdated system and offer comprehensive systems for new installations.